Grammy®-winning Icon's Home Decor Collection Available Now! NASHVILLE, Tenn. – America’s patriot and Grammy®-winning artist, Lee Greenwood, is celebrating the release of ‘The Lee Greenwood Collection’ in Kirkland’s, Hobby Lobby and select retailers nationwide. 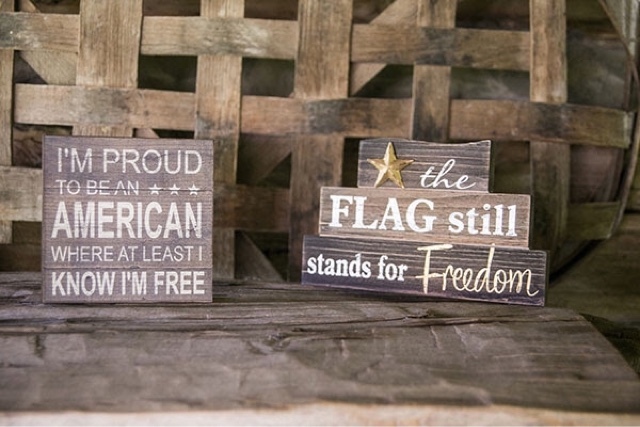 ‘The Lee Greenwood Collection,’ in partnership with Trade Cie, LLC, includes patriotic home decor with some of Greenwood’s iconic “God Bless the U.S.A” lyrics. Greenwood, who was recently named one of Billboard's 100 Greatest Country Artists of All Time, performed during President Donald Trump’s inauguration. Previously, Greenwood sang during President Ronald Reagan, George H.W. Bush and George W. Bush’s ceremonies. 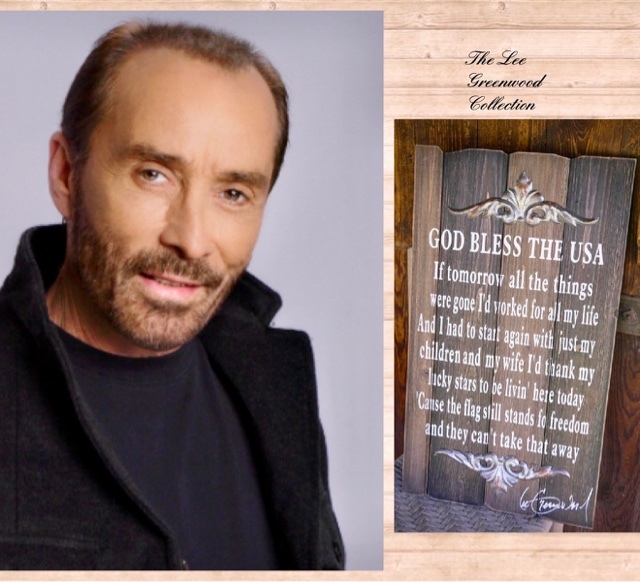 For more information on Lee Greenwood, please visitleegreenwood.com and follow him on Twitter, Facebook and Instagram. June 30 Buffalo Thunder Casino - Sante Fe, N.M.
July 1 Pearl River Resort - Choctaw, Miss. July 2 Portland Oregon - Portland Ore.
July 3 The Joint @ Hard Rock Casino - Tulsa Catoosa,Okla. July 4 FNB Field - Harrisburg, Pa.
July 7 Opry - Nashville, Tenn.
July 8 Franklin Theater - Franklin, Tenn.
July 21 Batavia Downs - Batavia, N.Y.
July 22 Vineyard & Brewery @ Hershey - Middletown, Pa.
July 28 Ameristar Casino KC Star Pavilion - Kansas City, Mo. Aug 5 Marriott Hotel - Atlanta, Ga.
Aug 18 Harvester Performance Center - Rocky Mount, Va.
Aug 19 Elizabethville Borough Park - Elizabethville, Pa.
Aug 25 Cactus Pete’s Resort And Casino - Reno, Nev.
Aug 31 Oxford Performing Arts Center - Oxford, Ala.
Oct 6 Sheraton New York Times Square Hotel - New York, N.Y.
Oct 11 Northern Quest Resort And Casino - Airway Heights, Wash.
Nov 7 Cowan Elementary School - Cowan, Tenn.
Nov 9 Riverside Hotel Resort And Casino - Laughlin, Nev.
Nov 17 Tilles Center For The Performing Arts - Brookville, N.Y.
Nov 26 Ryman Auditorium - Nashville, Tenn.
Dec 9 Army Navy Game - Philadelphia, Pa.